Feeling Apprehensive About Pet Treatment Involving Anesthesia? Emergencies happen when we least expect it, and anesthesia could be a necessary component required to treat your pet. Treatment recommendations your veterinarian makes could also include dental care involving anesthesia. You may elect to neuter or spay your pet. Anesthesia will be required. Repair of broken bones and retrieval of foreign material from your pet's stomach will require anesthesia. There are benefits and, of course, there are risks. How can you make an informed decision without information? You can't. So, let's change that now. If there is a time your pet requires anesthesia during a surgical procedure, your veterinarian will fully examine your pet. During the examination, your doctor will check your pet's organs and vital functions to ensure overall health and wellness to accept the anesthesia and the planned surgery itself. Your doctor will report to you the outcome of the exam and help you complete all treatment recommended. Anxious About Anesthesia by Sheilah Robertson helps educate pet owners about the facts and risks of anesthesia in the veterinary operating room. Robertson advises that blood tests before a procedure help your veterinarian "choose the right anesthetic drugs" for your pet. Dr. Robertson also explains that if your veterinarian is concerned about your pet's heart or lungs, more tests may be needed." Your doctor will "talk with you about whether it's safe for your pet to undergo anesthesia." Delaying care or failing to treat your pet because anesthesia is involved may cause your pet some health complications or a decline in current health. Your veterinarian is concerned for your pet, too. The doctor you work with will take many steps before, during and after your pet's surgery to ensure a positive outcome. Keeping up with your pet's health, activity levels, knowing current lab results and accurately predicting how your pet will react to the anesthesia are all part of your veterinarian's job. Recovery time after your pet receives anesthesia will be important. Your veterinarian and surgical staff will monitor your pet closely. They will also require that your pet remain with them until your pet is awake and fairly alert. You will want to support your doctor's requirement that your pet be watched vigilantly after a surgical procedure involving the use of anesthesia. If your pet is obese, a senior or a smaller animal your veterinarian will have additional considerations. These pets are carefully evaluated before a surgery and well guarded after it. Keeping your pet healthy and well includes maintaining an appropriate weight. Pet obesity and surgery can require your pet's vital organs to work even harder than normal. Senior pets may have an unknown health condition that becomes known during the surgery. That condition may interrupt speedy healing that would otherwise occur. Smaller animals are just that - smaller. A small pet can become colder during a procedure involving anesthesia so will need extra attention. Drugs used during the giving of anesthesia to pets are monitored and recorded for accuracy and proper dosage. Your veterinarian will take careful note of your pet's weight and health status before using anesthesia. Your doctor will be careful to give your pet only the amount needed and nothing more. When your pet needs anesthesia ask your veterinarian to answer your questions before the procedure. Let your doctor know you're concerned about your pet and want its health restored. Apprehensive pet-parents help veterinarians stay alert and tuned in during surgical procedures. 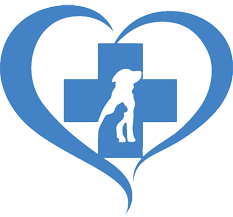 Your vet will always work with you for your pet's best health. You're a team and you both want your pet to "win."